Free Background Stock. Artur Pawlowski, The Street Advocate. #A Man Of God. 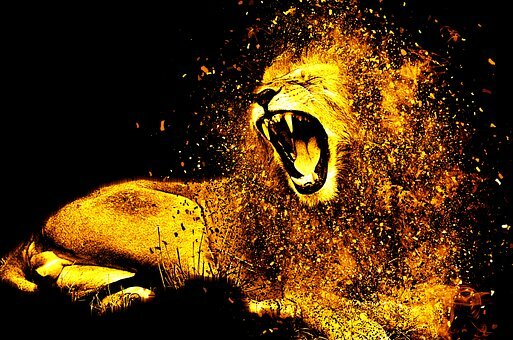 #The Awakening Lion Roars. “The amazing story of hope and perseverance in the face of trials, opposition, and arrests captured the attention of renowned overseas movie director Tomasz Wiszniewski. Director Wiszniewski and his crew spent almost two weeks in Calgary filming the daily activities of Street Church and their volunteers. They spent countless hours interviewing people from different fields about Street Church and its ministry. Everyone ranging from politicians, lawyers, reporters, members of the police department and the mayor’s office to the homeless served by the church and members of the public who passed by Street Church services were asked about why there is so much controversy, opposition, and resistance towards a peaceful ministry that feeds thousands of the less fortunate on the streets of Calgary. Particularly, they focused on why there is a tremendous and open hostility against Street Church from the municipal government. During the two weeks, the filmmakers witnessed and recorded firsthand what motivates and empower the volunteers to stand for truth and in defense of human rights. They witnessed many lives being impacted during their time in Calgary through prayer, salvation, and the meeting of basic needs such as food. In the documentary, Street Church volunteers are seen enduring and overcoming many obstacles in their mission. The documentary shows these volunteers being harassed, intimidated, handcuffed, arrested and taken before the courts by local authorities for simply standing up for their constitutional rights. It records their service to the poor despite rain, snow and freezing weather. As well, it shows the bravery of volunteers in the midst of attacks by local gangs. The film captures how they have managed to keep their faith throughout and continue with the mission they were called to do. The film also features never before released archive footage of the miraculous recovery of a boy named Nathaniel whom doctors labeled a “Star Baby” because they declared that he would not survive. Born with smashed lungs, a heart located on the opposite side, stomach, and bowels in his upper chest, Nathaniel had all odds against him. Also presented is a story of a successful businessman who left all of his wealth to dedicate his life to serve and defend the rights of the poor. This production was filmed at various locations such as Lake Louise, Drumheller, Calgary, Hobbema and Warsaw, Poland. The film was shot by cameraman Alex Pavlovic and it is produced by Henryk Dedo. Free Background Stock. The Lions Roar. “It’s happening again! It is happening again! Next High Activity on Pacific Ring Of Fire in 2018 What’s Going On? Spot on with this write-up, I truly assume this website needs far more consideration. I抣l probably be once more to learn rather more, thanks for that info. Needed to draft you the tiny remark to finally give many thanks again for your extraordinary views you have featured above. This has been certainly unbelievably generous of you to deliver openly all most people could possibly have sold as an e book to help make some bucks on their own, mostly now that you might have tried it if you ever decided. The smart ideas additionally acted to be the easy way to be sure that other individuals have the same interest like mine to understand a good deal more with regard to this matter. I believe there are millions of more enjoyable situations ahead for people who look over your blog. I found your weblog site on google and verify a few of your early posts. Proceed to maintain up the excellent operate. I just additional up your RSS feed to my MSN News Reader. Looking for ahead to reading more from you later on! ?